I recently came upon an offer I could hardly ignore. Amazon's Fire HD 8 was being sold in its basic version for just $50 on "Prime Day". Reason enough to give it a go - it's not like there was anything else to do during my vacation. My reasoning was that, at that price point, I wouldn't be getting a high-end device but it was likewise unlikely that Amazon would market a dud under their own name . Oh the excitement! My first impression was solid. The device sports a 8 inch glass display with the rest covered by rough-textured plastic. The tablet's thickness measures below 1 cm and its weight is about 370 grams. At 1280 x 800, the resolution won't break any records though (some smaller cellphones offer more) and sound is delivered via two speakers at the long side. Overall, the build quality is flawless. Inside, the tablet features a MediaTek MT8163 quad-core processor, an ARM Mali T720 GPU and 1.5 GB of RAM - specifications that aim towards power saving instead of super performance. In its basic configuration, the tablet comes with 16 GB of storage capacity with 11 GB available to the user. The device accepts SD cards of up to 256 GB to solve any potential storage issues. Connectivity-wise, it's WLAN only so strolls in the park are mostly out of the question. Although Amazon uses Android (version 5.11 which is fairly outdated), they don't want Google on their devices. That's why they came up with their own store that only hosts apps they approve of. Alas, the selection is paltry and often a few versions behind. If you're looking for Youtube or anything else related to Google or smaller developers, you'll be out of luck. Knowing this, it's almost surprising that Netflix is included as other competitors are locked out on principle. It's not that hard to manually install Google's App Store to get to your favorite apps (see here for details) but, according to Amazon, you'll void your warranty in the process. So it's either that or your warranty. After just a few minutes of use, I felt like I'm being kept on a short leash (very unusual for Android). What doesn't bother me, against all my expectations, are the "special offers", i.e. ads. Amazon offers two versions of their devices: one with and one without special offers. Naturally, the former are a little bit cheaper and I feared the ads might interrupt my work flow. That fear went away when I found them to be simple overlays that pop up once you take your device out of sleep mode. They're mostly well-designed book covers that are easily swiped off the screen - no deal-breaker for me. If you'd like to save money, you should think about this option. Amazon also left their mark on the Android system itself. The user interface is well-structured and you'll quickly find your way around but it's definitely optimized for sales. You see your contents but they're always mixed with suitable offers. If that's not to your liking, you may find using the device difficult. Swiping through the various sections, I also noticed that everything feels fast and looks professional. Both CPU and GPU aren't screamers yet they provide enough horsepower for a smooth and snappy experience: a rarity in this price range. The system itself is mature and stable (as you'd expect from a 7th-gen device) and I didn't experience crashes or illogical behavior. The cameras definitely show how much importance Amazon attaches to this device aspect - none whatsoever! The front camera is a throwback to the year 2000 when 640 x 480 was considered a decent resolution. This may just be enough for video chatting - if your goal is to stay anonymous. Things look a little better on the back with a 2 megapixel camera that may come in handy for the occasional snapshot. Make sure there's enough light though and try to ignore the bluish cast. You may also have to try a couple of times to get a decent enough sharpness in your photos. High-res videos come out laggy and exude the flair of a flip book which is mildly irritating for a device in 2017. Despite all the criticism, battery life is top-notch! If you enjoy binge watching your favorite series on a portable device, this may be the tablet for you as it apparently was built for constant use. Amazon touts 12 hours of battery life for reading and web surfing and I measured 10.5 during my test. Impressive! The sound is also excellent with subtle nuances throughout the audio spectrum. Expectedly, media consumption is where this table shines. Video playback, web surfing or reading pose no problem at all but you might notice the limited pixel depth for anything other than reading or watching TV series. If this suits your requirements, you're in for hours of entertainment with the Fire HD. The Fire HD is a mixed bag. I don't mind that the tablet won't top the performance charts for this device category and the price (currently $79 without discounts) certainly reflects that. However, I feel that Amazon went a little overboard with their branding almost making Google look like an angel in this respect. Locking out competitors is also a no-go for me and similar attempts by others have failed ten years ago. Customers expect certain apps and can't be expected to jump through hoops to install the Google Playstore (and void their warranty in the process!). That's a huge letdown which is why I can only recommend this tablet to users with low expectations or those who feel at home in the Amazon universe. 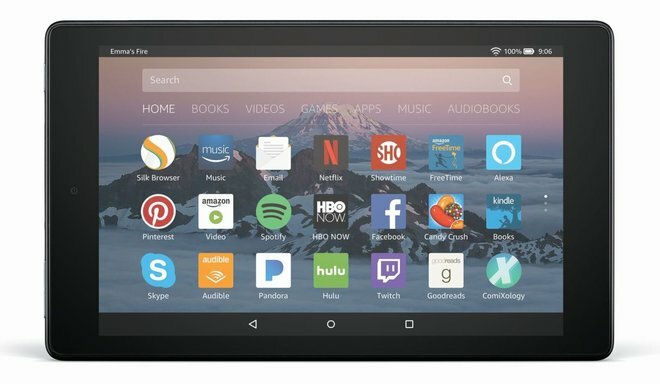 If all you need is Amazon Video, Amazon Music, Amazon Kindle, Amazon Prime Photos and their many other services, you'll have a blast with the Fire HD. All others should look elsewhere for a less restricted experience. 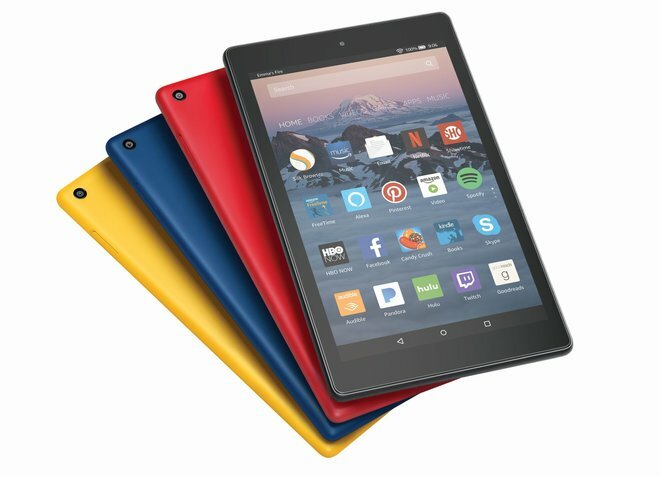 What I would like to know: do you consider getting an Amazon Fire HD 8? Or would you rather stay out of Amazon's walled garden?